It’s summer and it’s been so hot and humid here in the northeast for the last few weeks with daily rain showers and/or thunderstorms that I haven’t felt inspired to craft and it’s actually been all I could do to pick up my crochet hook. But my 12-year old daughter just made these firefly jars that I thought were amazingly cool and I wanted to show them off! She came across the idea entirely on her on and came to me and said she wanted to go to the dollar store to buy some jars, glitter and glow sticks. I actually ended up having everything she needed already in my crochet stash! Hooray! She even got creative and made her own video, which she is working on figuring out how to convert and edit entirely on her own. If you want to make these, you can find the instructions around the internet. 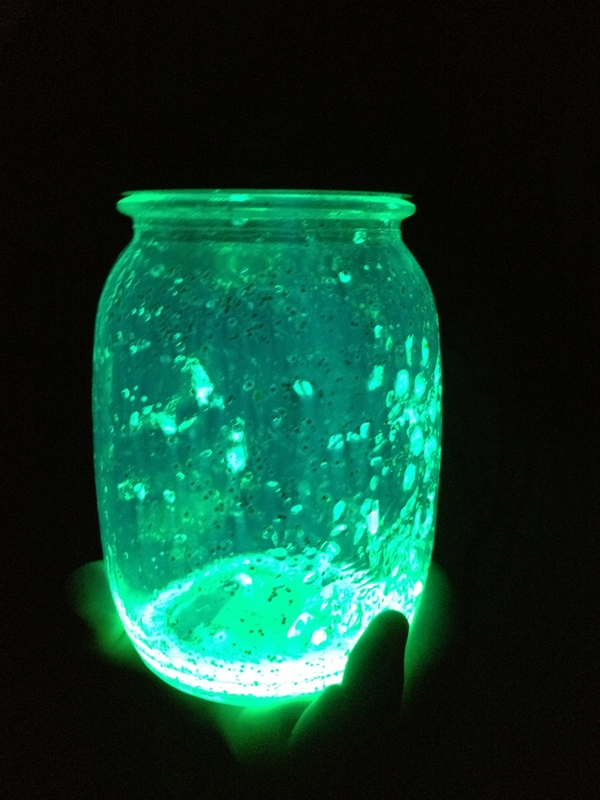 But literally all you need to do is cut open the glow sticks (after you activate them) keeping them down inside the jar while you do so and shake them inside the jar to get the liquid into the jar, then add glitter and shake. You can experiment with different colors of glitter and glow sticks. 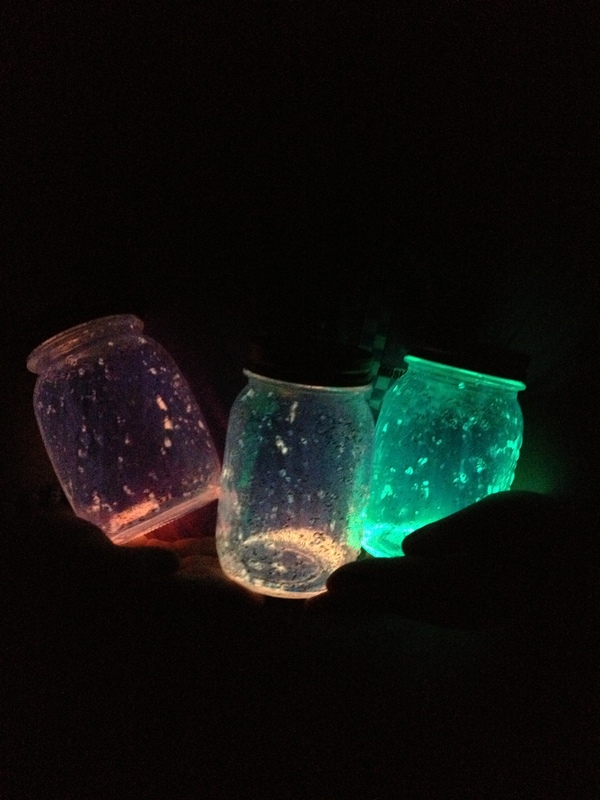 The jars only glow for about an hour, but are really pretty. FYI: Plan on safely disposing of the jars when you are done because the insides of the glows sticks actually contain little pieces of glass. This entry was posted in General Crafts, Uncategorized and tagged dollar store crafts, Firefly jars, glitter, glow sticks, mason jars. Fireflies are synonymous with summer. Here’s a great way to catch the glow without catching the flies!